Not going to lie, I kind of freaked out when I saw this and a rush of excitement hit me when I watched the introduction video here on YouTube. 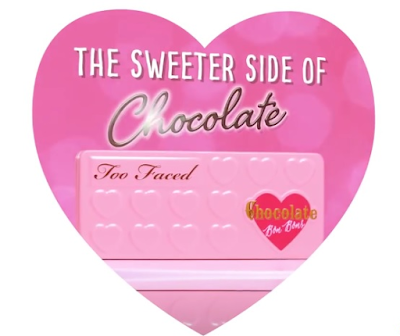 What can I say, I love Too Faced! 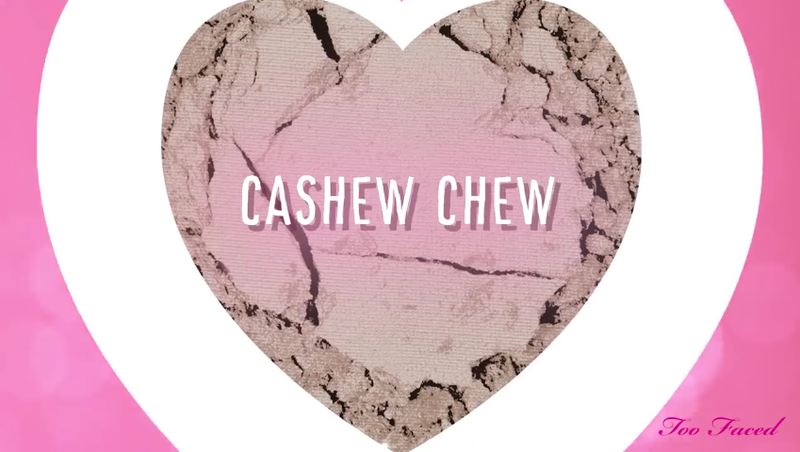 INTRODUCING A NEW SWEET SIDE TO THE CHOCOLATE BAR FAMILY! 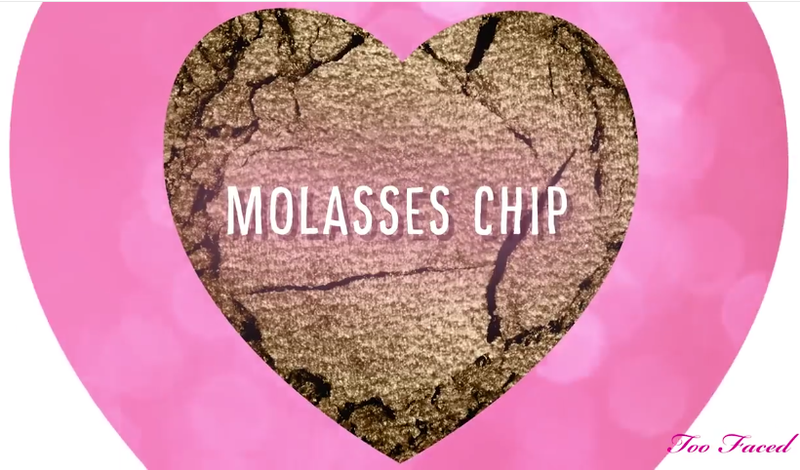 All images are from Too Faced's video! Can we take a moment to appreciate how cute and pretty the packaging is? 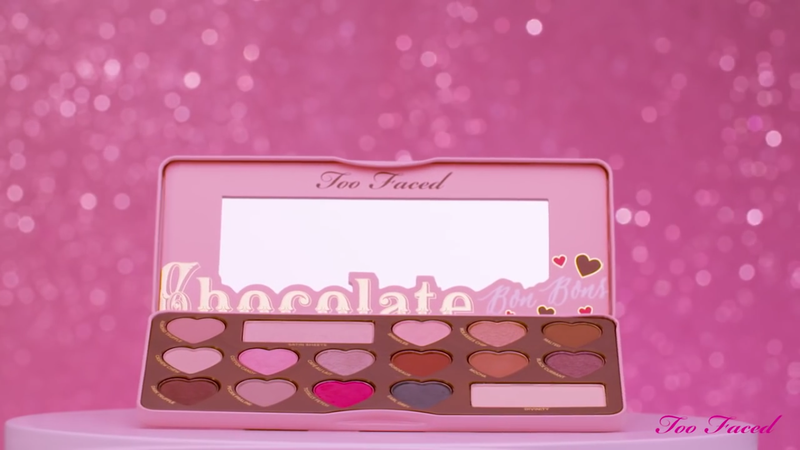 This is another reason as to why Too Faced is my all time favourite makeup brand, especially when it comes to eyeshadows. 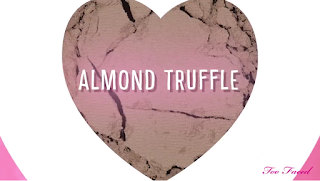 Not only are their eyeshadow palettes amazing quality with rich pigmentation, but they also put so much effort into making their products pretty, appealing and sweet on the eye: the packaging reminds me of strawberry milkshake with chocolate! 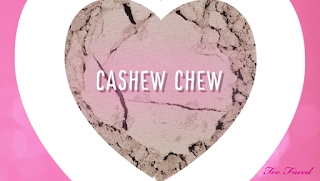 Okay, I'm going to be completely honest here and say that I'm all about warm and neutral eye shades, but oh my goodness, I'm so excited to get my hands on this! 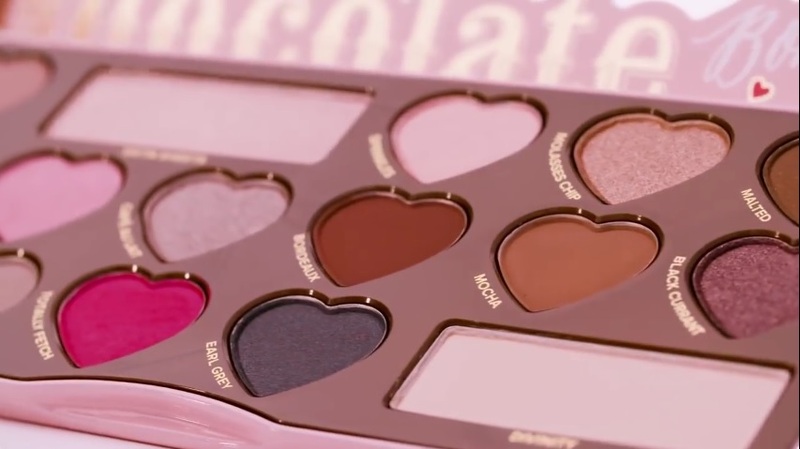 I own both Chocolate Bar palettes (Original and Semi-Sweet) and I love them to bits, so having another Chocolate Bar palette with a bit more colour will definitely add more of a variety to my (and anyone else's) makeup collection and allow more room for some creativity and a chance to experiment with some new colours! 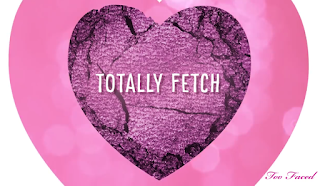 TOTALLY FETCH: looks to be a light/bright purple, possibly with some silver shimmer. 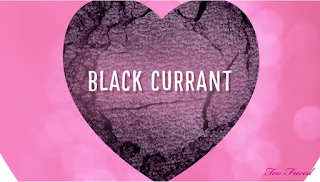 However, it appears to be a hot pink in the up-close images above which is a little confusing. 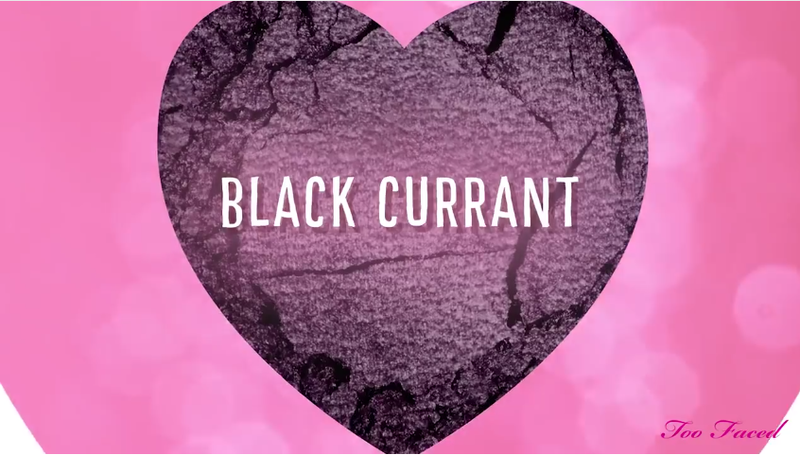 This would look nice as a pop of colour. SPRINKLES: looks to be a light pink with white and silver undertones/shimmer. 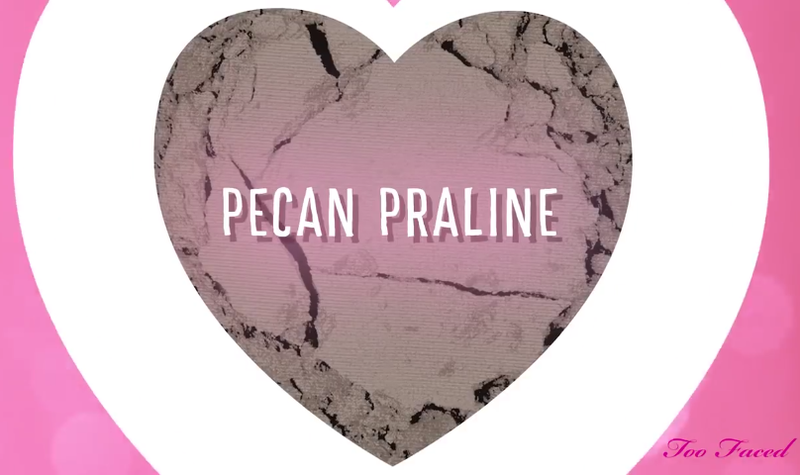 I have a feeling this one might have a pearl finish which will look gorgeous on the lid or inner corner. 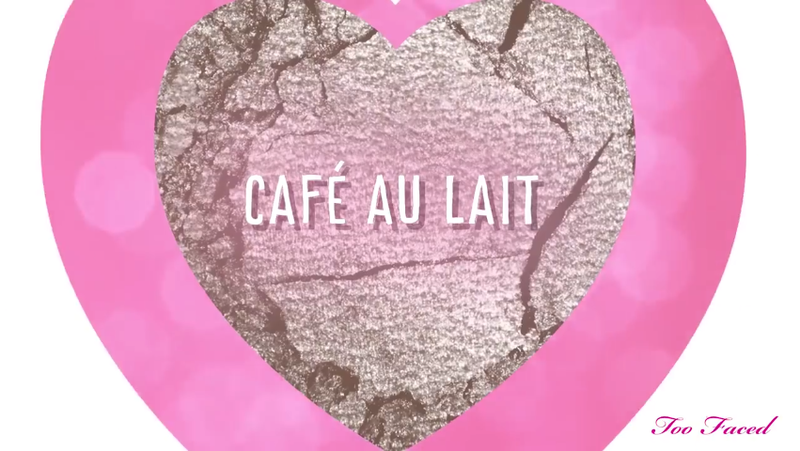 Such a cute name, too! 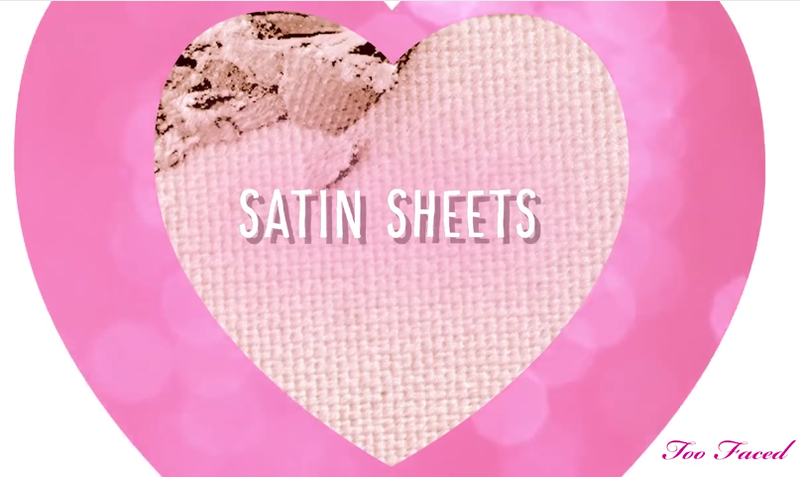 SATIN SHEETS: unless Too Faced have made this into a matte version, you will already have this colour if you own the Boudoir Eyeshadow palette. 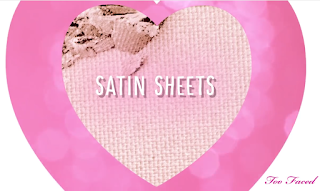 Satin Sheets is a gorgeous sheen pink with gold undertones. It definitely comes off as more of a gold than a pink! 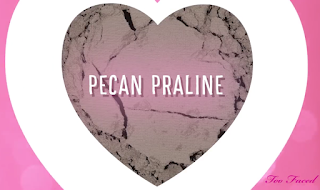 PECAN PRALINE: looks to be a cool-toned matte taupe/grey with a slight brown undertone. MOLASSES CHIP: looks to be a warm brown shimmer shade. 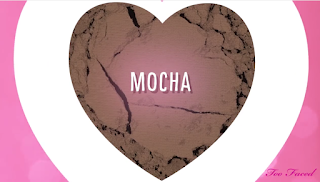 MOCHA: looks to be a mid-toned matte brown with enough warmth to give it that rich chocolate brown appearance. It looks more of a caramel in the images up top though. 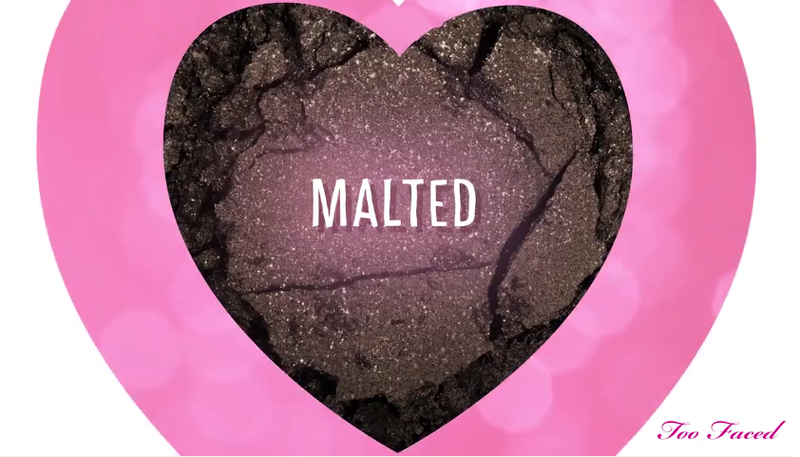 MALTED: Oh my goodness, now we're talking! 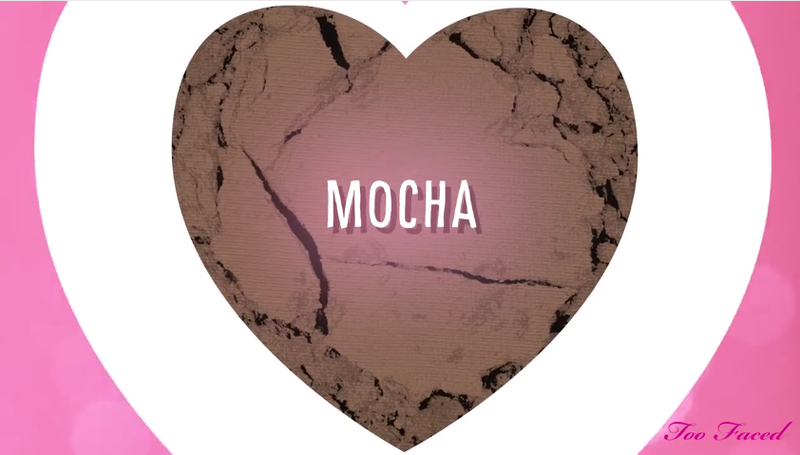 This looks to be a beautiful dark brown shade with some silver shimmer/sparkle. EARL GREY: looks to be a dark blue/purple with a grey undertone. I have a feeling this will be a buttery matte shade with a slight sheen. Definitely keen to give this shade a try! 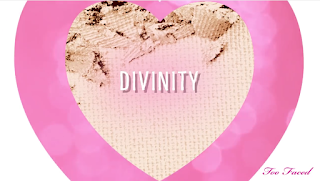 DIVINITY: looks to be a either a cream shade or cream with a hint of pink. It will either be a matte or sheen for the whole lid and/or to highlight the brow bone! 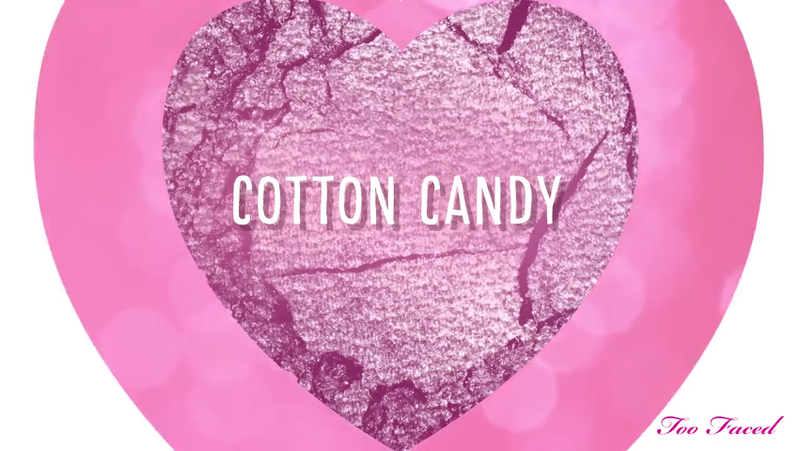 COTTON CANDY: the name says it all, haha! 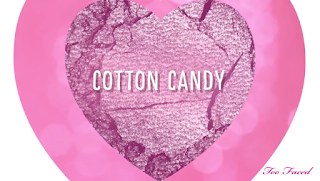 It looks to be a light sweet candy pink shade (yum, fairy floss! ), possibly with a silver or white sheen to it. 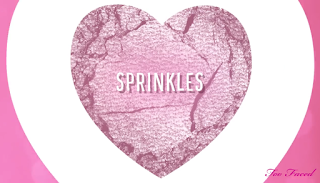 This will be great on the lid and inner corners! 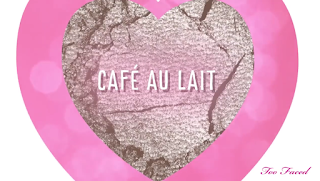 CAFE AU LAIT: another gorgeous shade that looks to be a beautiful light beige gold. 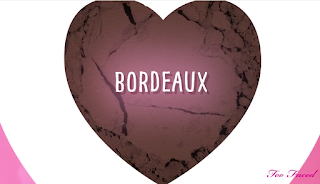 BORDEAUX: looks to be a dark brown matte shade, however in the images above, it looks to be a burnt brown with a slight hint of orange/ginger. Regardless, this will be beautiful, I can't wait! 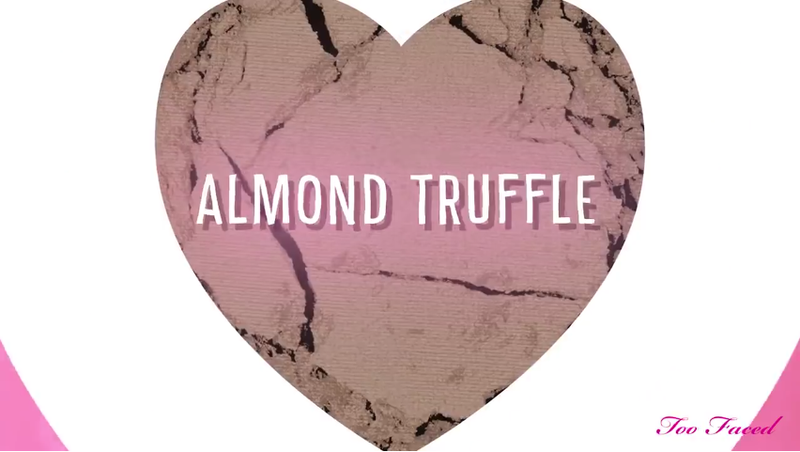 ALMOND TRUFFLE: and last, but not least, Almond Truffle! 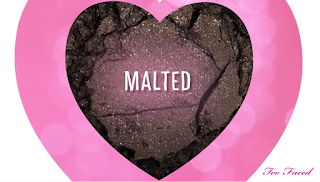 It looks to be a matte taupe shade, however it could be a muted pink with a slight brown undertone (I'm not sure, I'm only going by assumptions!). 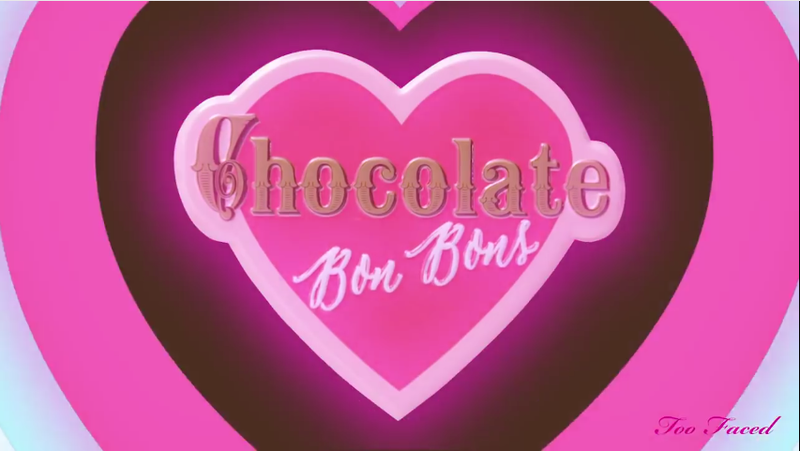 Chocolate Bon Bons Palette Overall! As you may have noticed, most of the single colour shots don't match to the shades in the overall palette (in the image above) which is a little confusing. 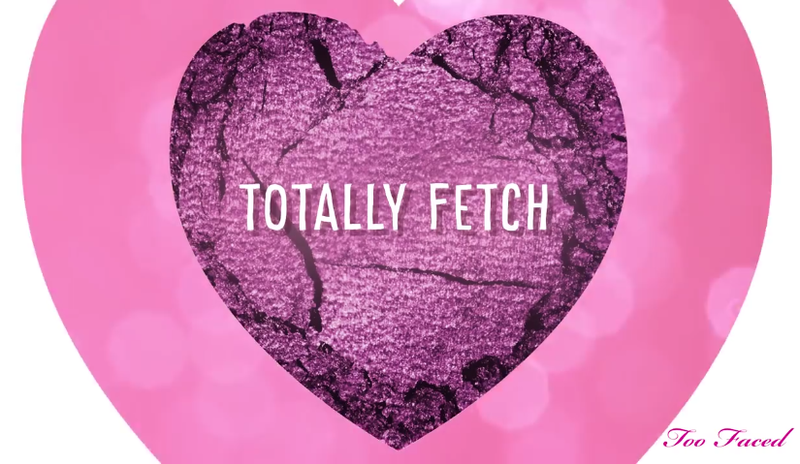 Totally Fetch is the most obvious in comparison where it looks nothing like the image: it's a hot pink rather than a purple. For the time being, it's unknown as to what we can really expect until it's released. But other than that, the colours are something different and will make for a fun use! 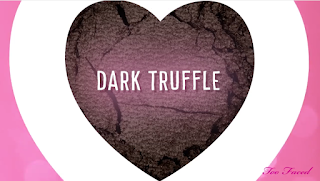 From what we can see, you have your pink tones, your browns, beiges, a purple plum and a dark blue/purple shade so you're still able to create neutral looks and dramatic looks with a pop of colour with an added bonus of smelling like chocolate! Are you tempted to by this new Chocolate Bar Palette by Too Faced? 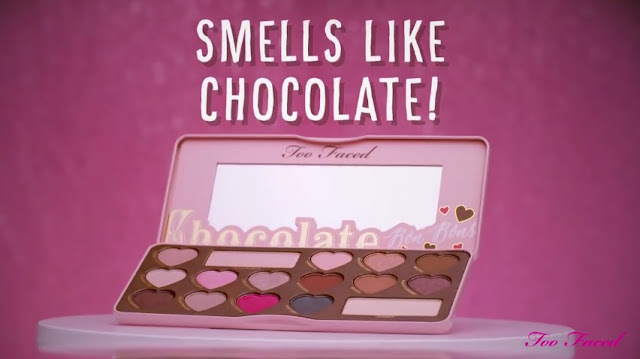 I know I am, and I'm not really into pink shades, but hey, it's a new Chocolate Bar palette and it's by Too Faced so I can't resist! The Chocolate Bon Bons palette is set to release on the 8th of December in the U.S, just in time to put on your Christmas list! As for other parts of the world (and for Australia in particular), it's unknown for now, but I hope we don't have to wait too long. 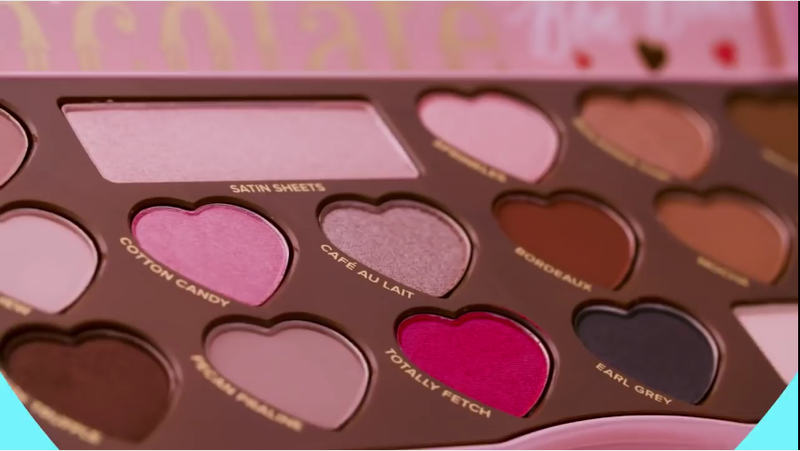 UPDATE: Australians can expect to get their hands on this palette on February 26, 2016. Yep, we have to wait even longer! Though the palette is really nice with all those options. Art by Neil Andrew Pike When darkness emerges, a shadow lurks within. A poem written and created by me - STEPHEX .